The Atlantic Forest South-East Reserves, in the states of Paraná and São Paulo, contain some of the best and most extensive examples of Atlantic forest in Brazil. The 25 protected areas that make up the site (some 470,000 ha in total) display the biological wealth and evolutionary history of the last remaining Atlantic forests. From mountains covered by dense forests, down to wetlands, coastal islands with isolated mountains and dunes, the area comprises a rich natural environment of great scenic beauty. Située dans les États du Paraná et de São Paulo, cette forêt abrite quelques-uns des meilleurs – et plus vastes – exemples de la forêt atlantique brésilienne. Les vingt-cinq aires protégées qui composent ce site s’étendent sur environ 470 000 ha et illustrent la richesse biologique et l’évolution des derniers vestiges de la forêt atlantique. Depuis les montagnes couvertes de forêts denses jusqu’aux zones humides, aux îles côtières avec leurs montagnes et leurs dunes isolées, ce site présente un milieu naturel riche et de grande beauté. تشكّل هذه الغابة التي تقع في ولايتي بارانا وساو باولو أحد أفضل وأوسع النماذج عن الغابة الأطلسية البرازيلية. يتألف هذا الموقع الطبيعي من خمس وعشرين منطقة محمية تمتدّ على حوالى470000 هكتار وتجسّد الغنى الحيوي لهذه الغابة والتطور الذي طال بقاياها. كما يتمتع هذا الموقع بمحيط طبيعي وافر وخلاّب، بدءاً بالجبال المكسوة بالغابات الكثيفة، والمناطق الرطبة، وصولاً إلى الجزر الساحلية بمرتفعاتها وكثبانها المعزولة. Это наиболее крупные и сохранные массивы приатлантических лесов во всей Бразилии. 25 лесных резерватов общей площадью 470 тыс. га, лежащие на побережье океана в штатах Парана и Сан-Паулу, демонстрируют богатое биоразнообразие и иллюстрируют эволюцию уцелевших девственных лесов. Территория включает широкий набор различных экосистем (горы, покрытые густыми зарослями, водно-болотные угодья, дюнные комплексы, острова) и выделяется особенной живописностью. Estas reservas estí¡n situadas en los Estados de Paraní¡ y Sao Paulo y ofrecen uno de los mejores y mí¡s vastos ejemplos del bosque atlí¡ntico brasileño. Las 25 zonas protegidas que forman el sitio suman una superficie de 470.000 hectí¡reas e ilustran la riqueza biológica y la evolución de los últimos vestigios del bosque atlí¡ntico. Desde las montañas cubiertas por tupidos bosques hasta los pantanos e islas costeras con montañas y dunas asiladas, el medio natural extremadamente rico de este sitio va siempre unido a panoramas de una gran belleza. De Zuidoostelijke reservaten van het Atlantische Woud in de staten Paraná en São Paulo, omvatten de meest omvangrijke stukken van het Atlantische Woud in Brazilië. De 25 beschermde gebieden van deze locatie - in totaal zo'n 470.000 hectare - tonen de biologische rijkdom en evolutionaire geschiedenis van de laatste overgebleven Atlantische Wouden. Het gebied heeft een rijke natuurlijke omgeving van buitengewone schoonheid, variërend van bergen bedekt met dichtbegroeide bossen tot 'wetlands', kusteilanden met afgelegen bergen en duinen. Verder is er een diversiteit aan fauna te vinden, waaronder een groot aantal bedreigde diersoorten. The Atlantic Forest South-East Reserves are located in the Brazilian states of Paraná and São Paulo and extend over nearly 470,000 hectares, representing one of the largest and best-preserved domains of the Brazilian Atlantic Forest, and one of the most threatened biomes of the world. The protected areas that constitute the site contain great biological wealth and are a good illustration of the evolution of the rare remnants of Atlantic Forest of South-eastern Brazil. The region, which has a large number of rare and endemic species, is exceptionally varied. The site also has an exceptional aesthetic interest, with its altitudinal gradient ranging from mountains to the sea, its estuary, wild rivers, coastal islands, numerous waterfalls and karst phenomena. The site is part of the Serra do Mar domain and extends across the adjacent coastal plain, which includes the estuarine complex of Iguape-Cananéia-Paranaguá. This range of habitats, from the summits of mountain ranges to vast stretches of deserted beaches, guarantees its great diversity. However, it is all of these ecosystems and landscapes that express the uniqueness of the region. Criterion (vii): The site represents one of one of the largest continuous areas of exuberant Brazilian Atlantic Forest connected with coastal ecosystems. From mountains covered by dense forests with an abundance of orchids and bromeliads to coastal islands and estuaries with a wealth of vast mangroves, the property offers a natural environment of great beauty with tremendous terrestrial and marine biodiversity. More than 300 caves (including the Casa de Pedra Cave which has the largest portico in the world at 215 meters high, and Santana Cave which is one of the most highly decorated), the rugged mountains and breathtaking coastal scenery, contribute to the exceptional aesthetic interest of the region. Criterion (ix): Historically partly isolated, the Atlantic Forest has evolved into a complex biome with a multitude of endemic species, comprising around 70% of the tree species, 85% of the primates and 39% of the mammals. As the most important ecological corridor of the Atlantic Forest, the site represents the best guarantee for the sustainability of the ongoing evolution of the biome and its associated marine and coastal ecosystems. Criterion (x): The flora and fauna are extremely diverse and very rich. The flora is among the most diverse in the world, and in some areas one can encounter over 450 species of trees per hectare. As for mammals, they number 120 species, probably the largest in Brazil. Amongst the flagship species are the jaguar, ocelot and the bush dog (Speothos venaticus). The property is rich in primates, some of which are highly endangered, such as the woolly spider monkey (Brachyteles arachnoides), the largest primate in the Americas, and the little “black-faced lion” monkey (Leontopithecus caissara), recorded only in 1990 and endemic to the region. The avifauna is very diverse with 350 species recorded, including the blue-cheeked Amazon (Amazona brasiliensis), classified vulnerable. The scarlet ibis (Eudocimus ruber), a large bird with bright red plumage, is a local symbol. The area includes one of the most extensive and best-preserved continuous remnants of the Atlantic Forest, still barely affected by the process of fragmentation, one of the greatest threats to the biome. Fortunately, access difficulties, due to its geographical characteristics associating rugged mountains and deep valleys with extensive wetlands, contribute to its conservation. This compensates for the fact that of the 25 protected areas comprising the property, 12 cover less than 5,000 hectares each. However, it is important to continue intensive management so that corridors and effective buffer zones are maintained. The components of the property are also located within a much broader region forming the Mata Atlântica Biosphere Reserve. This buffer zone is protected by federal law and functions as an important corridor. A federal programme for the protection of the Atlantic Forest is in place to bring together the different management authorities. This region has the oldest traces of colonization of Brazil and is located near two major cities of the country, São Paulo and Curitiba. Although there is strong pressure from real estate speculation in this coastal region, human impact on the environment is minimal. The presence of indigenous peoples and other traditional groups such as "quilombolas" (communities formed by descendants of former slaves) and "Caiçaras" (coastal communities) and their production systems have low impact. Conservation structures that manage the site are attached to the State bodies responsible for the environment: the Environmental Institute of Paraná (IAP) and the Foundation for the Conservation and Forest Production of the State of São Paulo (Forest Foundation). The Chico Mendes Institute for Biodiversity Conservation (ICMBio), an autonomous federal agency under the Ministry of Environment, is responsible for the areas under federal management. 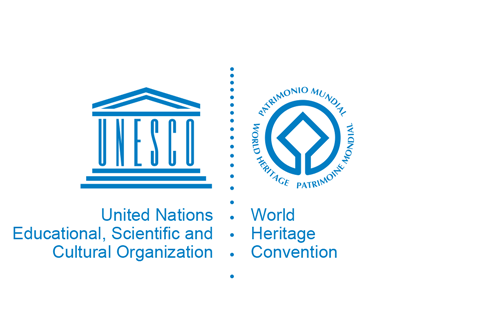 These institutions conduct public policies related to natural heritage protection, sustainable use of natural resources, research and knowledge management, environmental education and promotion of ecological management. Given the wide range of responsible management bodies for the property, it is important that a good coordination system between the various organs and the states concerned is ensured. The main threats are habitat fragmentation by roads, power lines and urbanization. There were no roads in the 1960s and nor even in the 70s, and the small roads that were built later are no longer suitable for today's needs, including freight transport. Construction projects or road widening generate problems of increased fragmentation, disturbance, penetration corridors for certain invasive species, and reduced natural connectivity. Because the property is already composed of remnants of Atlantic Forest areas, it is becoming increasingly urgent to integrate the development of the buffer zone with the conservation of the property itself. Brazilian environmental policy stimulates community participation of organized civil society, public and private entities, by providing advice for the management of protected areas. Integrated management of protected areas in the region is also ensured through a mosaic of protected areas of the south coast of São Paulo and the coast of Paraná (Lagamar mosaic). Since the inscription of the property in 1999, several new protected areas were created and others, pre-existing, were enlarged. The "mosaic of protected areas" system that was introduced into the legislation in 2002 is very positive. Given the development in this area, it would be possible to revisit this property to incorporate all the recent improvements in the conservation policy and also to consider the possibilities of extensions of the area of the property. In both States, Paraná and São Paulo, there are financial incentives for municipalities that have protected areas in their territory, thus strengthening local interest in conservation areas.